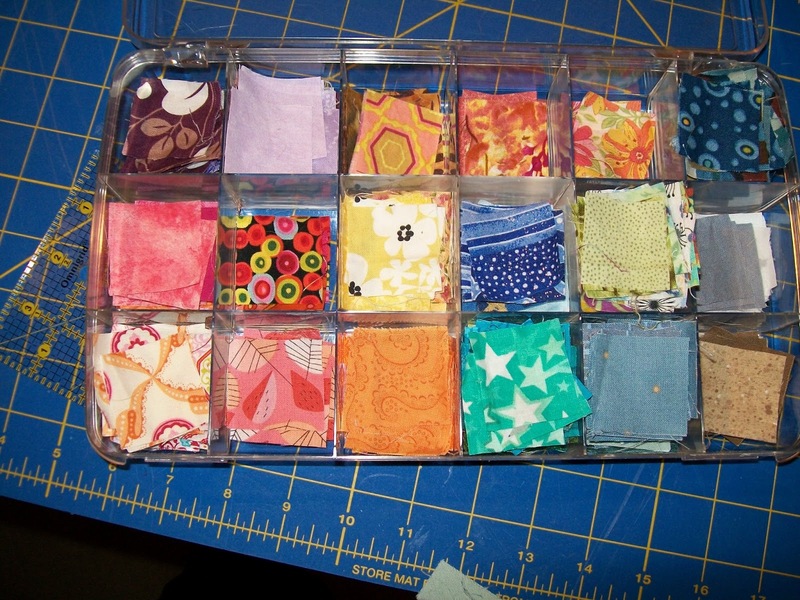 One of our members in the Minneapolis Modern Quilt Guild recently mentioned ideas around keeping a journal for sewing and quilting. I love starting journals; maintaining them, however, is not my strong suit. 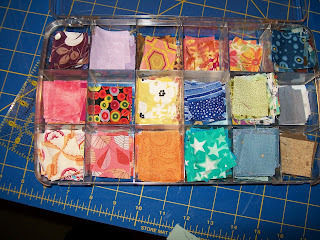 But the idea stuck with me, and I really liked those little scraps of fabric that were in the journal showing what was used for the project. 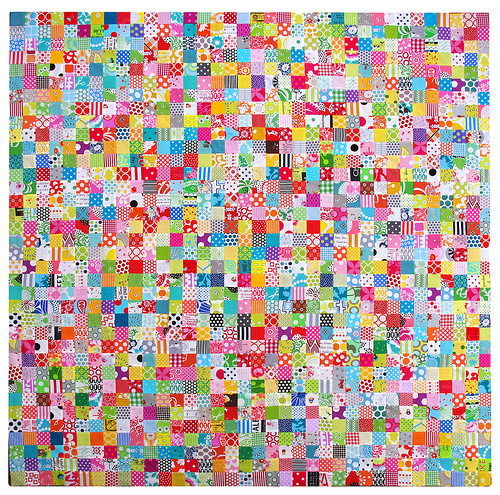 Enter postage stamp quilts! 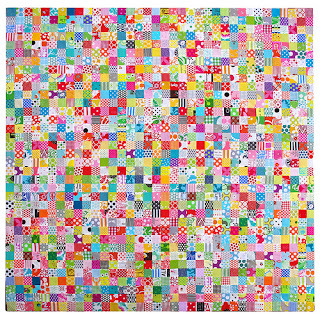 I first saw a postage stamp quilt a few months ago, summarily thought it was an insane project (as I often consider any project I think I will never be skilled enough to do) and later started thinking that this very quilt would be a great way to remember all the fabrics I have used throughout my quilting years. 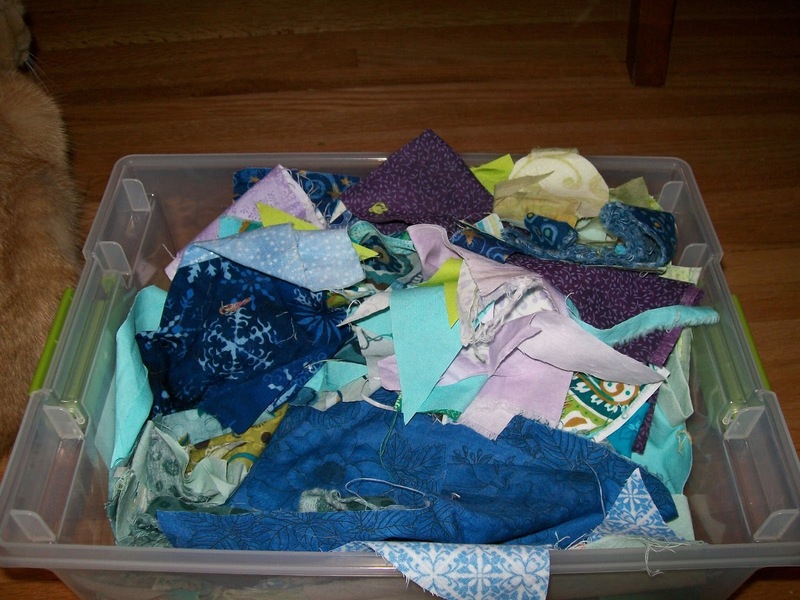 Being a newer quilter (five years) I still have scraps from those first quilts, and my scrap bins have been getting uncomfortably full (so far I refuse to buy bigger scrap containers). This beauty is by Rita at Red Pepper Quilts. She also has a tutorial. 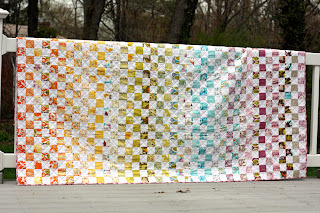 I love how simple 1 inch squares (finished size) can lead to such different and gorgeous products. That's always been one of my favorite parts about quilting; seeing the artist come out in each of us. 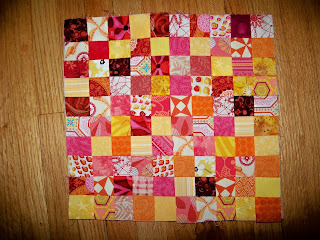 The inspiration (known to me as "ugh, too many scraps!"). I have three of these; warm tones, cool tones, and neutral tones. The sorting process. This was extra fun because I got to buy a cute new organizer to hold said scraps (always love excuses, er, reasons, to shop). 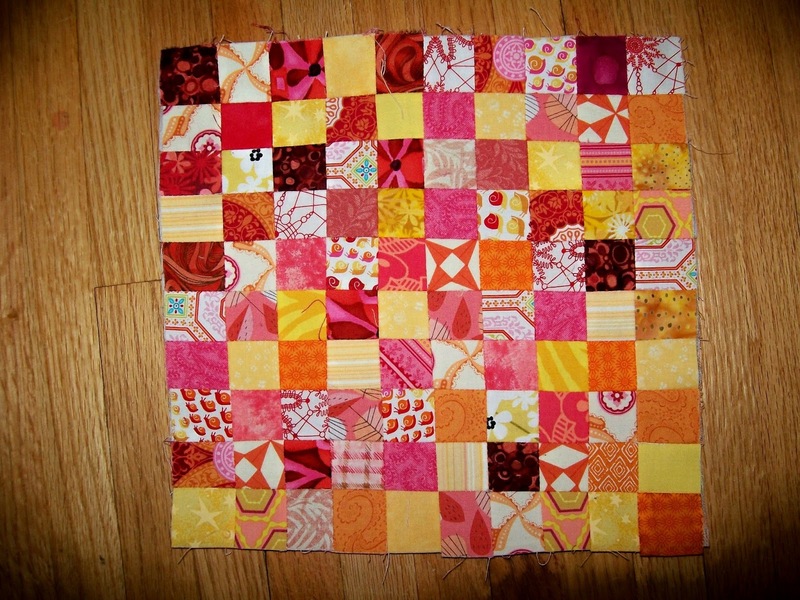 And here is my first block, 10 inch square. One hundred blocks. Here's to the ultimate UFO! I am making a "forever stamp" quilt, too. Want to swap some? I sent you a few with the Love swap. Hope you can use them. hah! took me awhile to get back to this, and YES, I have your address and will put together a few pretties, are you in for all colors or are you searching for some specifics, how fun!